Why Do You Go From Full to Starving? Dr. Oz said that your nose is to blame for why you can go from feeling totally full to suddenly starving. The nose knows! 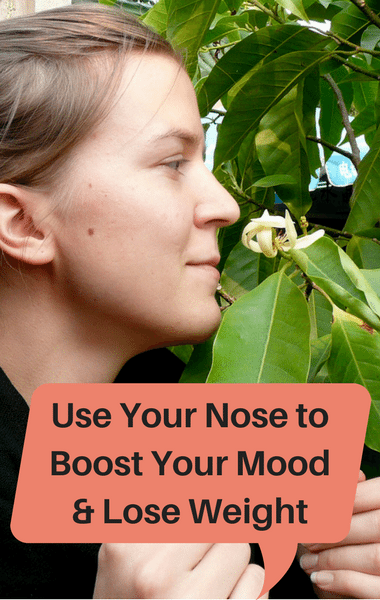 Dr Oz revealed how to use your nose to increase energy, reduce stress, and even lose weight. Why is it Easier to Get Up Some Mornings? Dr. Oz said that your nose can even be the cause of why it is easier for you to get out of bed some mornings and harder on others. He explained that it all has to do with the way that your nose processes smells. When you smell something, an odor goes into the nose where there are sensor receptors. The scent then travels further up the nose. At the top of the nose, fibers touch cilia which are connected to the middle of the brain. The middle of your brain is where you get deep emotions from, and thus it can trigger an impulse based on what kind of odor it is. Dr. Oz shared some amazing natural remedies to make it easier to get up in the morning, to boost your mood with “the tuck and sniff,” to reduce stress with lavender oil and to stop cravings with peppermint oil… all on the next page!